You've found the right art and the right spot, but what's the best way to hang your framed pictures? Vintage photos of family members and scenes from times past are too precious to be stored away forgotten. Not all picture frames come with a hook already installed. However, you can easily add one in just four steps. One way to add detail and visual interest is to your wooden shadow boxes is to use a beading router bit. A flag shadow box is a great way to honor men and women in uniform for their service of duty to the country. Coins should be handled with delicacy and stored in a proper way as to preserve their detail and quality. 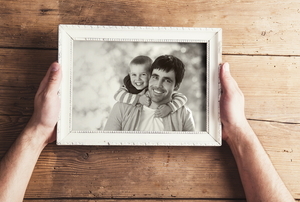 Building a shadow box can be a personally rewarding hobby while adding a point of interest to your home. 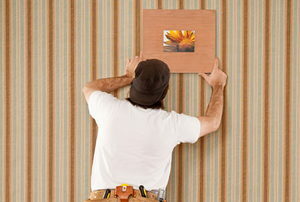 Hanging large picture frames can be a daunting task if you do not use the right hooks and other materials.